Scalability on all levels is key to the true value and longevity of a SCADA solution. It is extremely important to be able to evolve solutions over time, expand them into previously unforeseen areas, and integrate them with other systems which may or may not already be in place. Combining a truly scalable implementation with ease-of-use and outstanding functionality and connectivity will provide for a sound supervisory software solution and real investment protection for the future. This post covers scalability options such as: Functional Scalability, Solution Scalability, Vertical Scalability, Horizontal Scalability,“Baked-in” Scalability and suggestions to provide real investment protection for the future of your industrial operations. Growing a system from small to large requires another dimension of scalability in addition to functionality. True scalability demands that a solution can be easily extended from a single, simple application, perhaps a single machine, to a comprehensive networked solution serving the needs of an entire multi-plant industrial enterprise. Consider the common requirement to have multiple HMI or SCADA applications that are different but have similar components, which must be kept separate but benefit from each other’s design and standards. Also, consider the requirement for those applications must be able to operate, evolve and grow independently. This is a typical real-world scenario which requires an underlying system architecture to support such evolution. 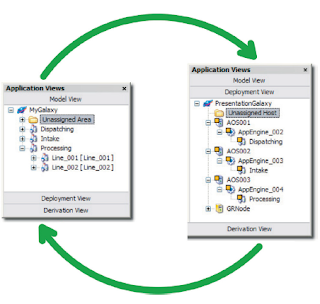 Such an architecture needs to combine powerful object-oriented modeling capabilities, integrated and equally powerful graphical HMI and visualization capabilities as well as comprehensive device integration capabilities. 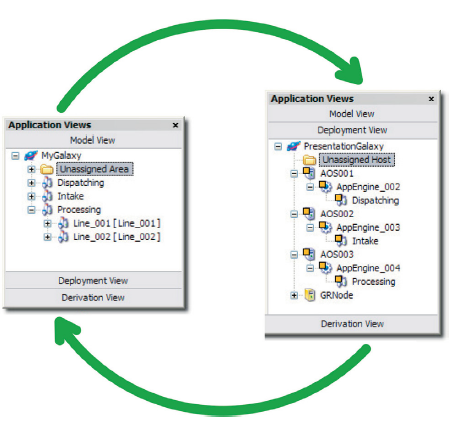 As someone responsible for such a system, you would want maximum re-use of engineering effort where appropriate, with flexibility where required; common application logic with device-independence; consistent application visualization with standardization, security and application-specific detail; all of which can be deployed and managed from a centralized, standards-based environment. 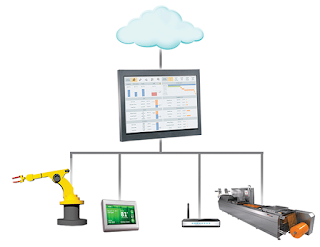 An HMI or SCADA supervisory system is just one part of an industrial operation, albeit a significant one. In the same way that each department in an organization needs to integrate and collaborate smoothly, supervisory systems need to integrate and enable collaboration with other systems in an industrial enterprise. Effective industrial software solutions must be capable of efficient, scalable integration with enterprise-level systems such as ERP, Supply Chain Automation, Enterprise Asset Management and other corporate systems for planning and reconciliation. To satisfy this important vertical integration need requires purposeful architectural design, and great support for standards such as XML, OPC® and SQL complemented with Web Services and ISA-95/XML B2MML support (see Figure below). Vertical scalability also means scaling to the plethora of field device connectivity requirements that exist today. While some SCADA and HMI supervisory systems may provide direct interfaces to physical devices such as RTUs and PLCs, these interfaces are typically simplistic and foster integration solutions which are too closely tied to the physical hardware; that simplistic builds limitations and constraints into the implementation. To achieve true scalability for device connectivity, a software architecture that provides a level of abstraction from the specific devices is required. What does this mean in practice? Well, it means for example, that a device independent application could be developed for a project using one specific family of PLCs, and making use of all of the connectivity capabilities provided by that device. This first step matches the benefits of the direct approach. However, real benefit becomes apparent when it becomes necessary to automate a similar area at a facility — one that was built at a different time and uses a completely different family of PLCs and automation equipment. With a robust and well-designed device integration architecture and software, the application can be easily re-purposed for a different family of hardware devices without incurring the engineering expense of changing the application. Multiply that efficiency over many pieces of equipment and many different hardware systems, and the result is a truly scalable software solution. Of course, implementing the application is just part of the effort. For effective scalability, it is necessary to be able to configure, monitor and run diagnostics on multiple I/O interfaces from a convenient central location. Consequently, such an architecture requires comprehensive remote management capabilities, built-in diagnostics and the flexibility to deploy in a variety of architectural topologies to suit the needs of the industrial enterprise — the hallmarks of a truly scalable infrastructure. Supervisory, HMI and SCADA systems do not operate in isolation. They need to integrate smoothly and reliably with a wide range of peer-level systems including MES, DCS, Historians, LIMS, Workflow, Field Mobility Solutions and Quality Management systems. Historically, the solution to these kinds of integration challenges has consisted of crude interfaces using proprietary interfaces, middleware and limited data-level integration. These approaches, while barely satisfactory for standalone solutions, are the antithesis of scalability, and require custom engineering approaches and significant expenditure for system integration work. A truly scalable solution for horizontal integration of this kind requires an architecture designed with scalability and integration capabilities built-in (see Figure 2). Embracing standards such as OPC, SQL, OLE DB/ADO and XML with an object-oriented architecture delivers the most easily scalable industrial software solution set available. Functionality, ease-of-use and scalability are the most important characteristics of any HMI or SCADA solution. It is these characteristics, which provide real investment protection for the future. 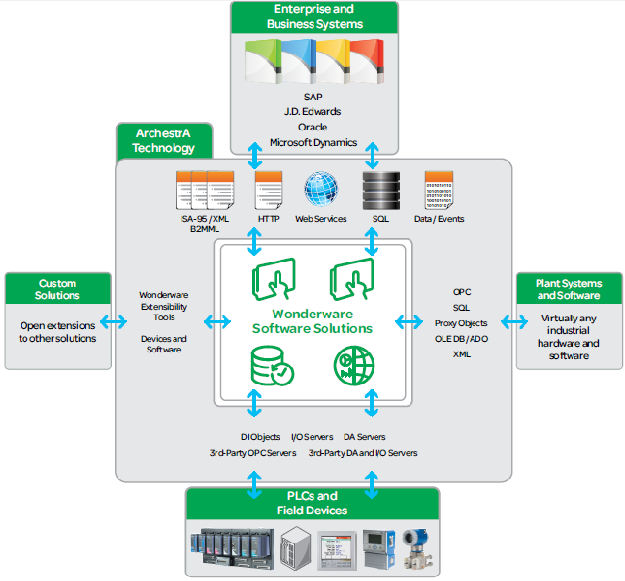 Wonderware software’s scalable design and easy-to-use tools uniquely embody these characteristics — specifically, the powerful Wonderware System Platform and InTouch visualization tools. With the broadest range of integration options, powerful MES, workflow and mobile solutions, Wonderware has set a new benchmark for combining the deepest functionality with ease-of-use unparalleled True Scalability.